The Costa Blanca, known as the ‘white coast’, is mainland Spain’s most popular year-round destination boasting stunning sandy beaches, charming villages and plenty of vibrant holiday resorts sitting alongside the clear Mediterranean sea. The region is divided into two very different areas, the mountainous north with rugged outcrops and sheer cliffs whilst the south is home to magnificent coastal resorts, beaches, palm groves and first class beaches. The White Coast has something for everyone, from the vibrant nightlife of touristy Benidorm, to the many golden sandy beaches, a wealth of history with picturesque Moorish villages, delightful olive and orange groves, enchanting lagoons and green terraced hills. 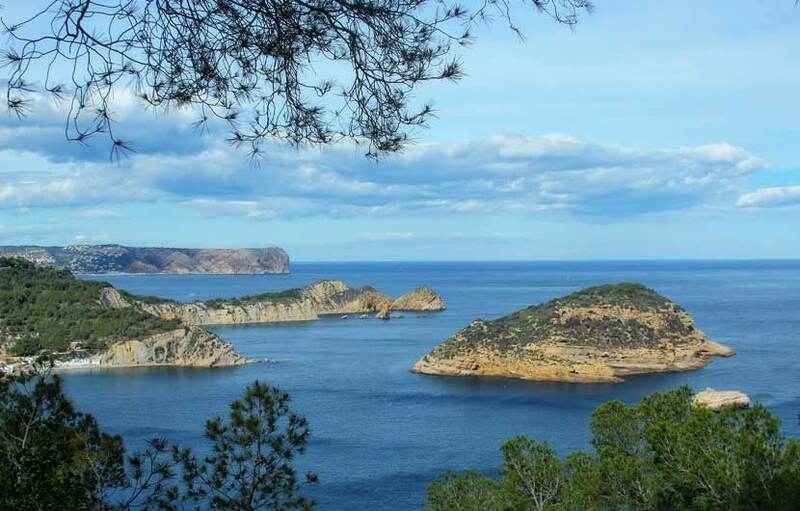 The overwhelmingly beautiful landscapes, combined with a huge selection of accommodation and entertainment, plus the warm climate throughout the year, turns the Costa Blanca into one of the most popular holiday destinations in Spain. The average annual temperature in Costa Blanca is around 20 degrees Celsius, enjoying a sunny spring, while in autumn are occurring impressive quick passing thunderstorms that would leave any photographer speechless. 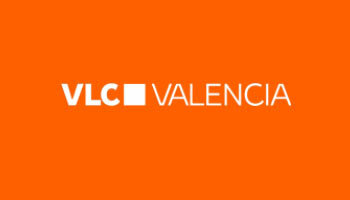 The most popular tourist resorts of the Coast Blanca are Benidorm and Denia, it is also a first class golf holiday destination with a number of quality golf courses located all over the province including Alenda Golf, Lo Romero Golf, Golf Las Ramblas, Javea and Alicante Golf Club. 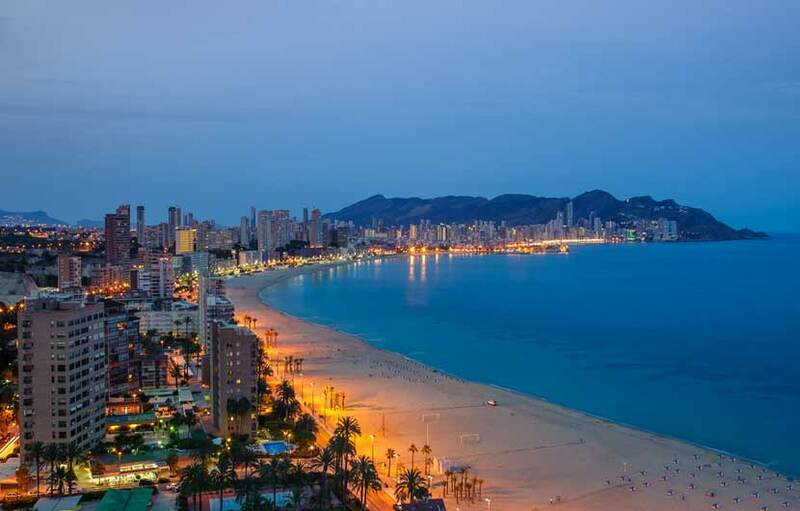 As a tourism destination Benidorm is impressive purely by the number of visitors who arrive each year as this vibrant town attracts over 8 million holiday makers annually, largely due to the irreproachable selection of hotels in Benidorm and the vast amount of holiday friendly amenities offered by each. 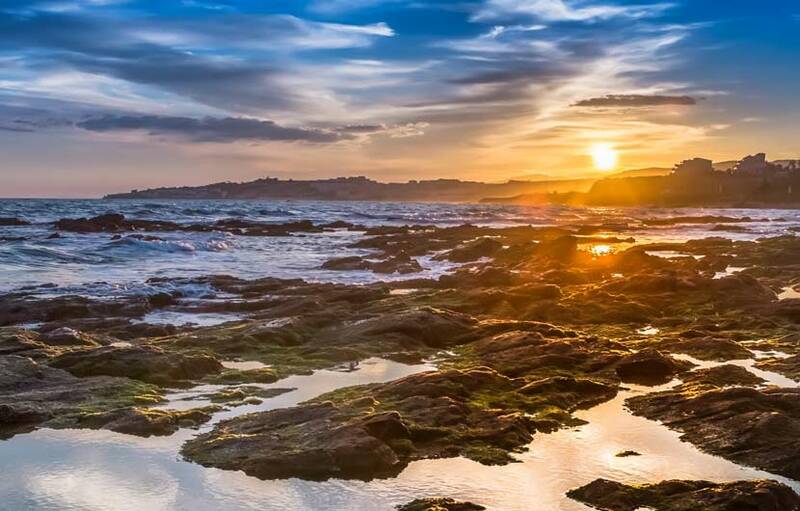 A big draw though are its three impressive beaches: Playa de Levante, Platja del Mal Pas and Playa de Poniente, all awarded with Blue Flags, because they offer excellent conditions to sunbath and swim. The amusement park Terra Mitica, the zoo Terra Natura, Aqualandia Water Park or the nearby island also called ‘’Benidorm’’ – which is a nature reserve, are some of the attractions of Benidorm. To these, are added many restaurants, clubs, festivals, cabaret shows, and the tallest buildings in Europe, which are found here, in Benidorm. 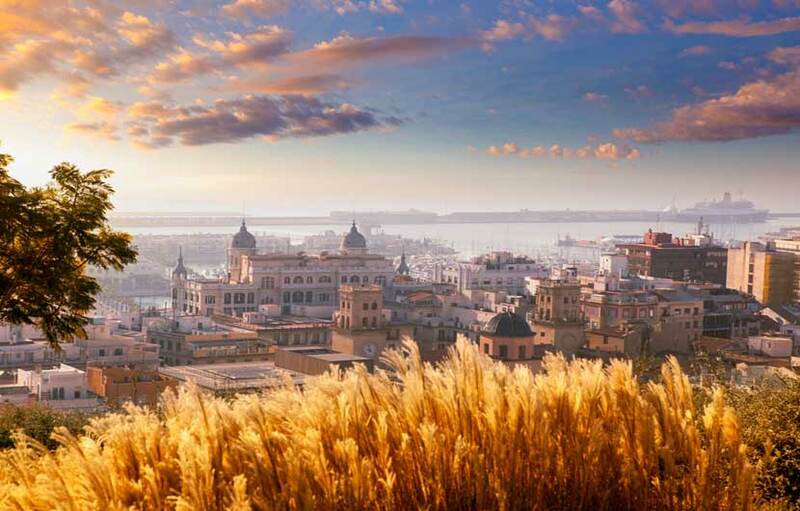 Situated between the mountains and the sea, the historical Alicante is one of the best known towns on the Costa Blanca. 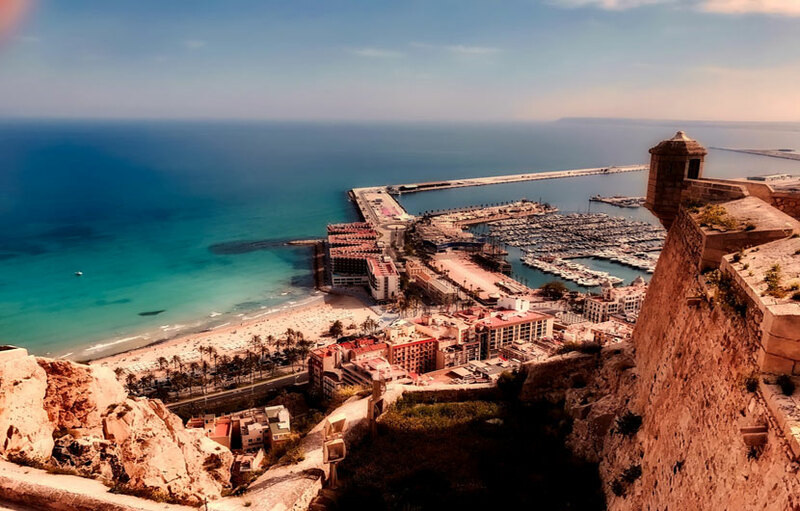 With a three thousand year history, Alicante’s mix of old and new offers stunning architecture, abundant shopping and beautiful beaches. The main pedestrian walkway, Esplanada de Espana, is a stylish, palm bordered boulevard with an elegant tri-coloured marble path depicting the waves of the Mediterranean Sea. The heart and soul of the city, the promenade wraps around the harbour and boasts many shops, cafes and restaurants. From here, take an elevator to the impressive 16th Century Castillo de Santa Barbara and wander among the castle’s drawbridges, stone passageways, hidden tunnels, dungeon and beautiful gardens. 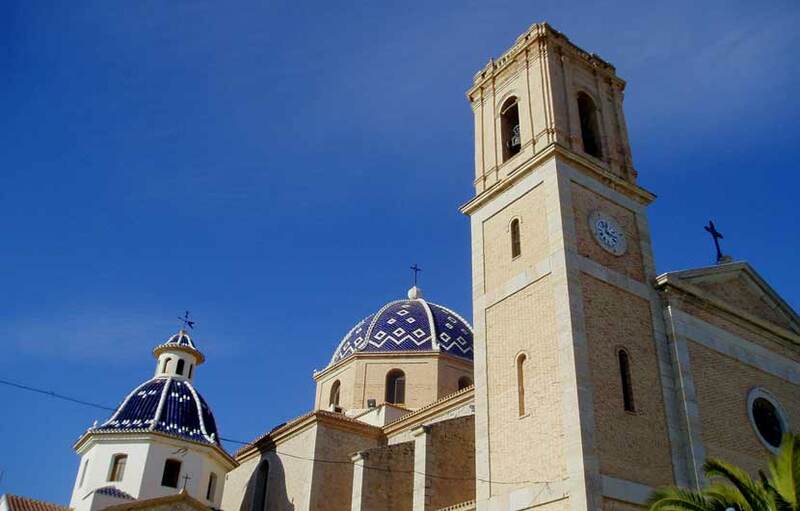 Javea is a quaint haven along the Costa Blanca, centered around a 14th century church, shops, cafés and restaurants creating an old world meets modern vibe. Enjoy tapas and sangria at one of the many traditional restaurants and visit old town’s Arenal Bay for a vibrant nightlife scene. Restaurants feature flamenco dancers and clubs play disco, house and techno from midnight to dawn. 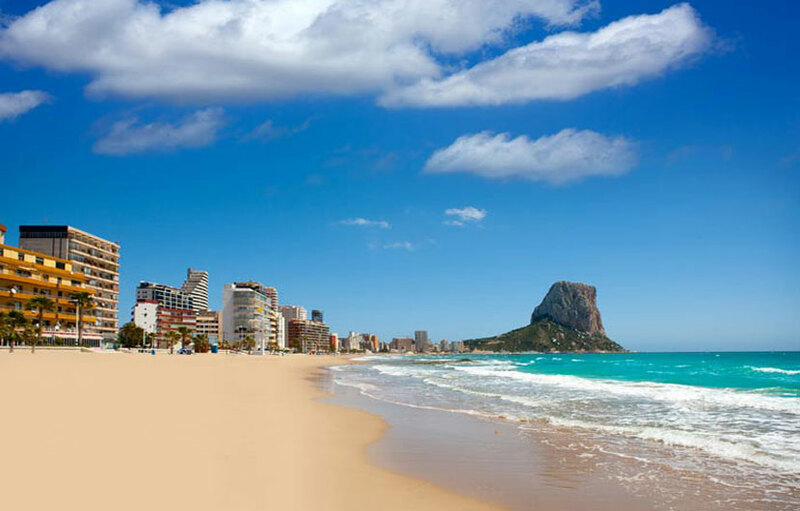 Javea also boasts two blue flag beaches, the most popular of which are Arenal and La Grava. 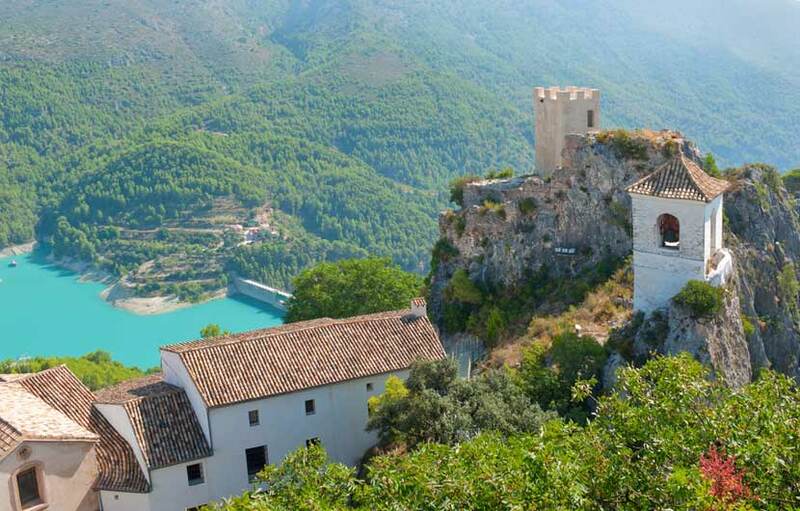 Around 20 kilometres away from Benidorm is the enchanting mountain village of Guadalest which is surrounded by the Sierra d´Aixorta, Sierra de Serella and Sierra de Aitana mountain ranges. Although there are only a handful of residents the town explodes with visitors, specially during the summer months. The main attractions here is the resevoir, the old quarter and the San Jose Castle. 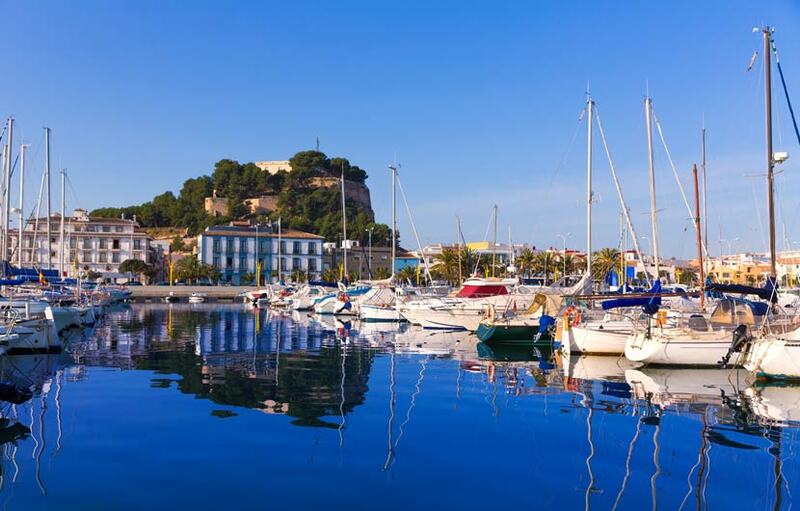 The town of Denia enjoys a privileged location, with Montgo Mountains in the background. Attractions include its ruined castles, a beautiful marina, walking the narrow streets of the old town and chilling out on 20 kilometres of beach. Well worth visiting is the Montgo Natural Park for breathtaking scenery and wonderful views of Deira. 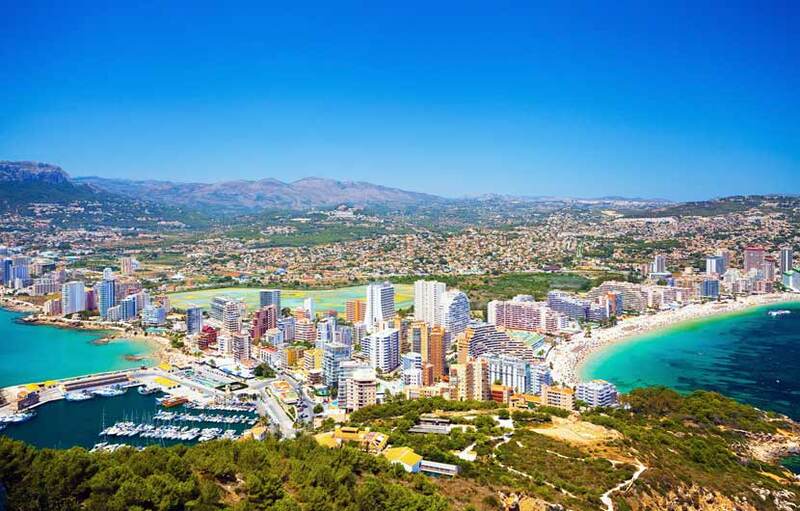 Calpe is one of the most popular holiday resorts on the Costa Blanca due to it's privileged location, golden sandy beaches and vibrant atmosphere. Well before the tourists arrived Calpe was know for it's large fishing fleet and salt production. The town is nice mixture of old and modern with numerous Gothic churches and Roman ruins. There are plenty of quality tapas bars, seafront restaurants as well as a good selection of late bars and nightlife to help you enjoy those long summer nights. 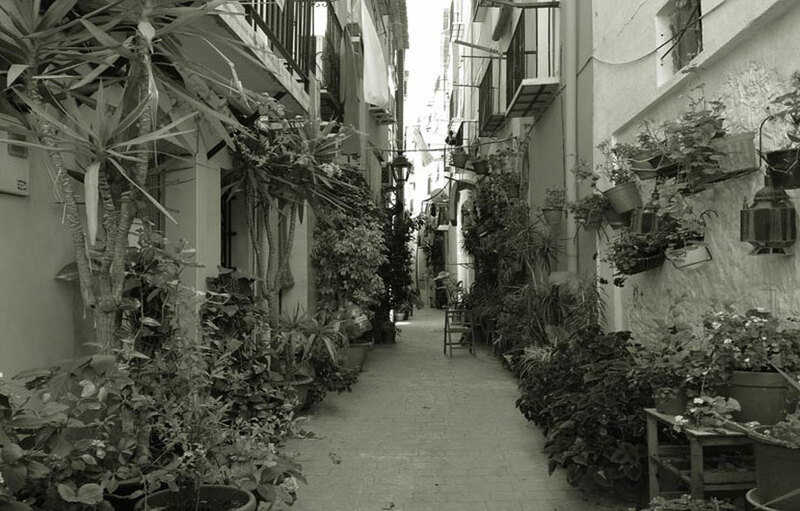 The picturesque town of Altea is wedged between Benidorm and Calpe by the Sierra Helada mountain range. It is made of two parts, the modern low rise beach resort and the charming white washed old pueblo perched on a hilltop overlooking the sea, a real great to walk around and must place to visit on the Costa Blanca.